Destination: Krakow, Poland - July 2018. I had a few days available to travel and flicked through possible destination routes on the flydubai website to find one that looked interesting and had a good deal. Flights to Krakow were a great price and it was somewhere I hadn’t really thought too much about before but looked like a place to explore for a few days - booked a ticket and flew to Krakow! I flew with flydubai from Dubai to John Paul II International Airport. It is only a short distance outside from the main tourist area for Krakow – Old Town. The flight is around 6 hours and has you landing just before midnight. The airport is only relatively small with very few shops. After midnight, there is a Relax store that is open. Here you can purchase Orange sim cards with data (which is incredibly cheap – 6Gb for less than USD2). Have them activate your sim card. Currency in Poland is the Polish Zloty. It is easy to exchange money at any of the currency exchanges in Old Town or draw direct from an ATM. I found in general that Uber worked extremely well in Krakow - clean, efficient and not too expensive. I was easily able to get an Uber from the airport to my hotel, which took around 25 minutes. Krakow is a very old city, having been civilized for thousands of years. It has an incredible history – some colourful, some very sad and others full of tales that have been somewhat embellished over time. It is definitely worth doing some guided tours to learn more about some of these historical facts, myths and everything in between. Probably the most famous tale is that of the Wawel Dragon who, as legend has it, lived in a lair on the banks of the Vistula River. They would feed the dragon sheep to stop it from eating the city’s children. The dragon was eventually “slain” by a local cobbler who stuffed a lamb’s skin with poison. As reward, King Krakus offered his daughter’s hand in marriage. I stayed at Puro Krakow (map), which I found through booking.com. I chose this hotel mostly for the proximity to Old Town where I wanted to spend a lot of my time and the value for money. Puro certainly represented great value for money and is perfectly suited for travellers. The design of the rooms is minimalist, yet has everything you need. It is very modern including tablets to control all the in room features. 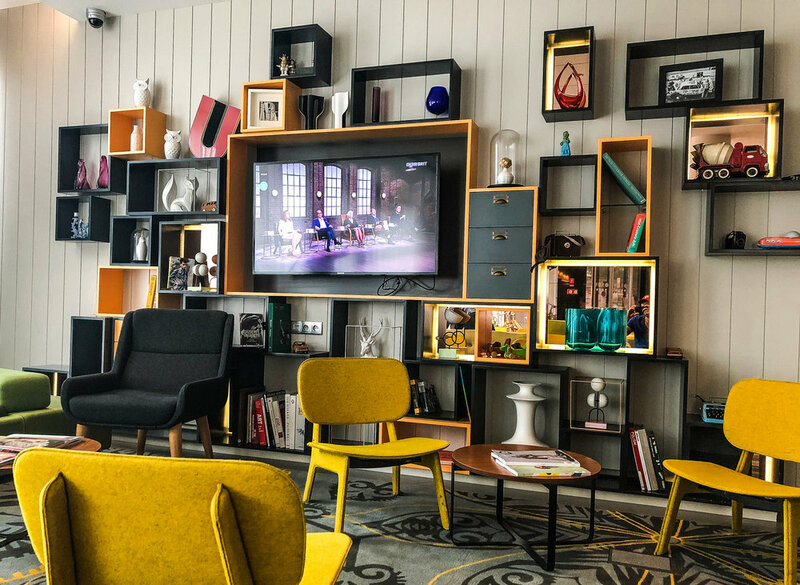 It isn’t the sort of hotel I would recommend if you are looking to lounge around – but Krakow isn’t really the city for this anyway, its for getting out and exploring! I walked each day from the hotel to the North entrance of the Old Town, where a lot of the highlights an atmosphere of Krakow can be found. It is only around a 5-10 minute walk. Puro also have a new property in the district of Kazimierz (Puro Kazimierz), which is also a tourist highlight in its own right. This property is still only around 5-10 minutes walk from Old Town, but from the South end. The Kazimierz Puro has more features including fitness centre, spa and restaurants. It still represents excellent value for money and the rooms are really well set out. I did a tour of this hotel and would certainly recommend comparing each and deciding which suits your needs. There are a huge number of hostels within Old Town and if this is your travel style, you will be well catered for. Hostels in the North East of the Old ~Town would be a great starting point. They are close to good places to eat and nightlife. 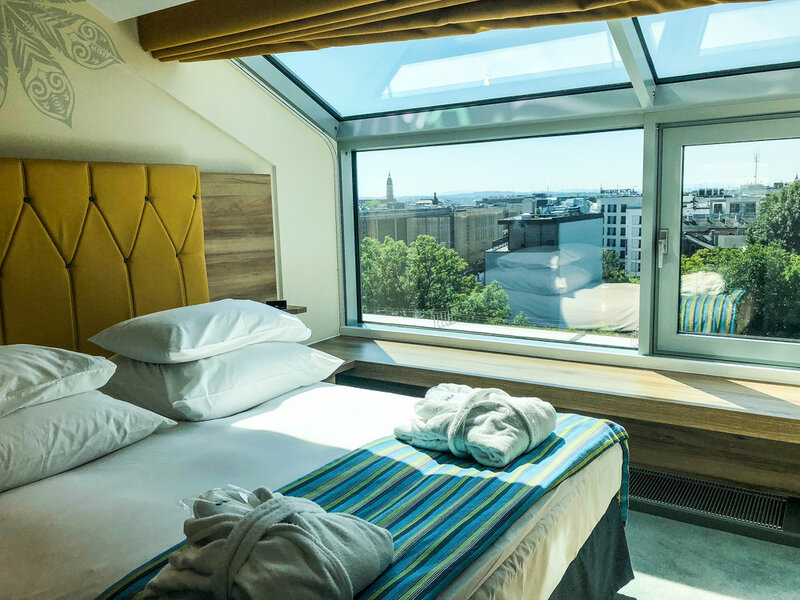 Some of the other chain hotels are further away from Old Town, however as a traveller looking to get the most out of a few days, I would suggest staying within walking distance of Old Town. 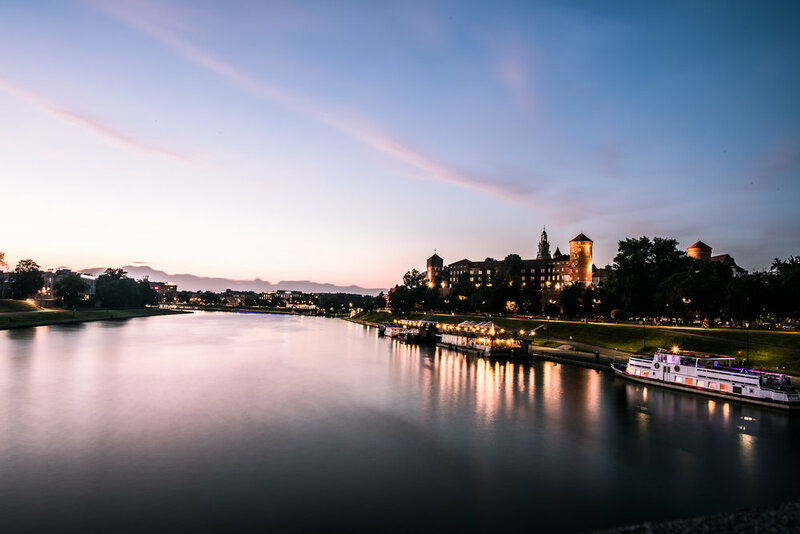 Krakow is a wonderful city to visit for people looking to really explore – there is a lot of fascinating history, both ancient and modern. Probably the best way to get to see and learn as much of the cities history in a short space of time is to go on one of the walking tours. 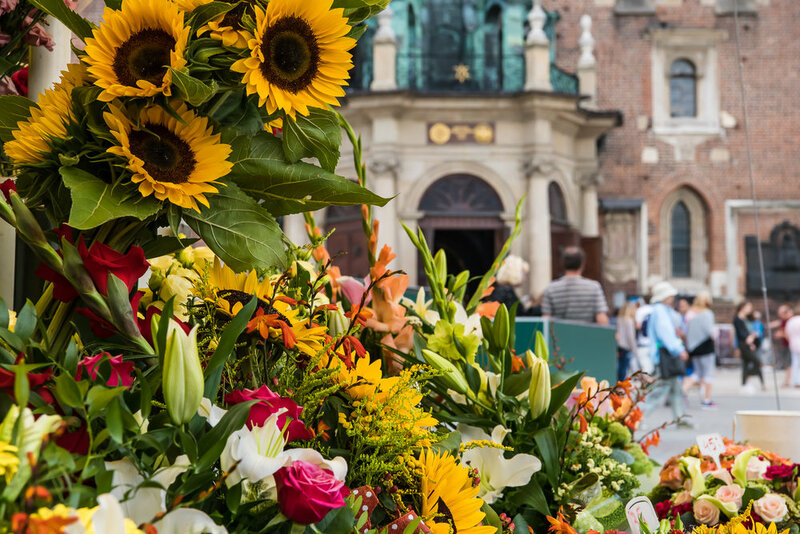 I am not normally someone who goes on guided tours (I like to explore at my own pace), but I actually went on 2 of these walking tours with City Walks Krakow. They do a tour of Old Town and one for Kazimierz (The Jewish Quarter). The tours are “free” with a tipping system at the end. They are well worth it, you cover a LOT of the city in a relatively short space of time and they have loads of information about places to eat, other places to visit and helped getting my tours to Auschwitz and Salt Mines arranged. You can meet the guides everyday outside St Mary’s Bascilica (map). This is a must visit area for anyone coming to Krakow - you almost can’t avoid it. It is the historical city centre and the history is incredible – some of the buildings have windows half below street level, because the ground of the city has been built up on top of itself so many times over the years, it has actually increased around 4 feet in some places. Much of the Old Town I covered with the City Walks Krakow guided tour..
- The Planty (map) is the park that surrounds the Old Town and is worth taking a walk around, especially on a summer weekend – there will be small concerts, entertainers and local people enjoying the park. It is a great place to ride around on a bike. Do make sure you stop at Chimney Cake Bakery (map) at the North of the Planty and get yourself a cake……..trust me! - At the North of the Planty is The Barbican (map) – a fortress that was used to defend the city from invaders. There is a famous story of the fort almost being sacked by an invading Russian army. The last remaining soldier, who had run out of bullets, used his coat button to shoot the Russian General and cause their retreat……….fact or fiction, the story is now infamous. - The walls that surrounded the Old Town were almost all torn down by the Austrian-Hungarian Empire in an effort to open the city up for trading. Only 3 towers and part of the wall at the North still stand, as locals were able to convince them that this would protect the city from the cold North winds in Winter. St Florians Gate (map) at the north is a great place to enter Old Town. 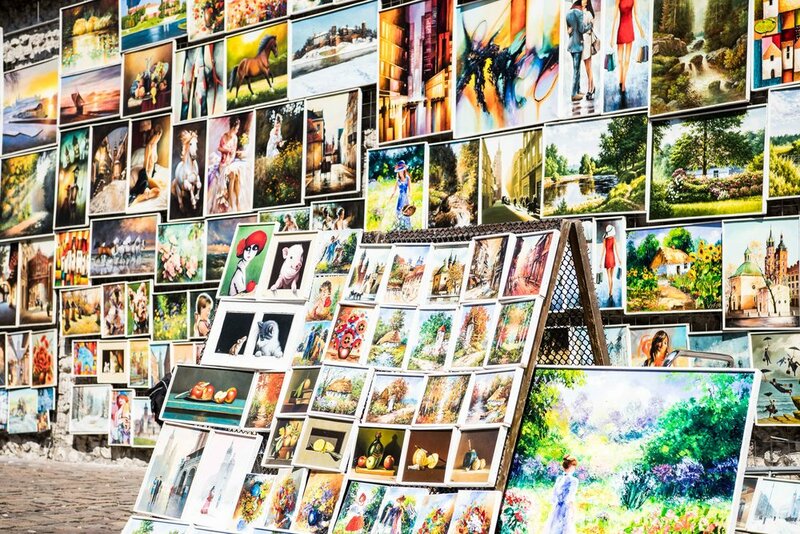 On the right as you walk through is a colourful display of paintings for sale. - St Mary’s Basciica (map): With its 2 tall towers built by 2 brothers, it is an architectural focal point of Old Town. Inside the cathedral has some amazing stained glass windows and murals. Climb up the stairs of the tallest tower for a great view over the city. On the hour a trumpet player plays a song from each window at the top of the tower, stopping abruptly at the point in the song where according to locals, a trumpeter was shot in the neck by an arrow as he attempted to warn the city of an impending attack. Tickets to enter the Bascilica and climb the tower can be purchased from a small information office opposite the South of the building (near to Hard Rock Café - map) – it is 10 PZL to enter the Bascilica (only after 11:30) and 15PZL to climb the tower (you will need to book a time for this so go early and reserve the time you want). - In front of St Mary’s Bascillica are numerous horse drawn carriages, known locally as Dorozka. They are, as expected, a little touristy, but offer a unique way of seeing the Old Town. - Rynek Glowny (map) is the Main Market Square in the Old Town and remains one of the largest Medi-evil market squares in the world. It is surrounded by some impressive architecture including St Mary’s Bacillica, Cloth Hall (map) and the shadows of Town Hall Tower. Whilst the square is relatively quiet in the mornings, it gets progressively busier during the day, especially on the weekends. By late afternoon and into the evenings there are stalls and entertainers. 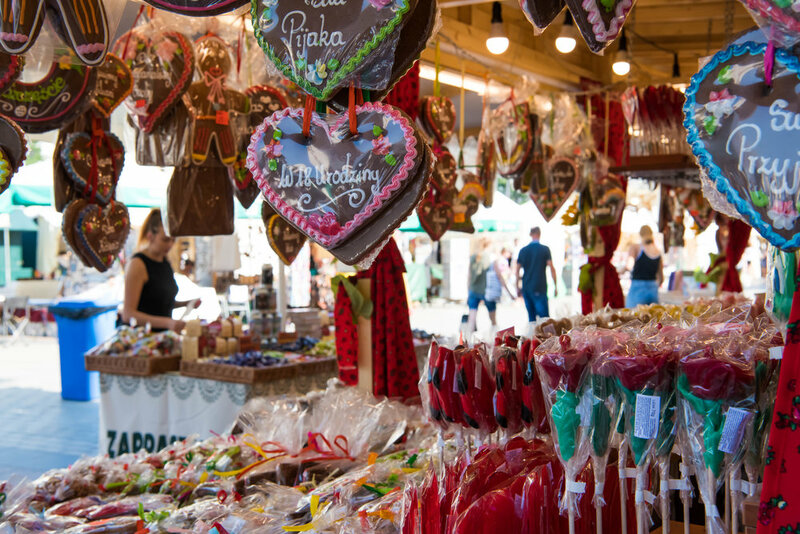 On the other side of Cloth Hall is an area where seemingly each week a new form of entertainment is arranged and numerous stall selling locally made crafts, sweets and food. In the middle of Cloth Hall is the old market, which now is largely filled with shops selling souvenirs. There is also an underground museum beneath Cloth Hall, which is a great representation of what the city was like centuries ago. - The Town Hall Tower (map) provides an alternative view across the city and looks at the Bascilica Towers across the square. - The Jagiellonian University (map) is one of the oldest surviving universities in the world, founded in 1364 by Casimir The Great. Past students include Nicholas Copernicus and Pope John Paul II. It is a wonderful old building and academics will get nostalgic about walking in the footsteps of one of humanity’s great mathematicians. - Wawel Castle (map) is at the Southern end of Old Town and stands as one of the most impressive and significant buildings. On the guided tour there is only time to briefly pass through the grounds, however you can come back and do a full tour for only 14PZL – it is worth noting there are 2 ticket offices and everyone tends to use the first one, so use the 2ndone inside, its much quicker! The castle also has some fascinating history. 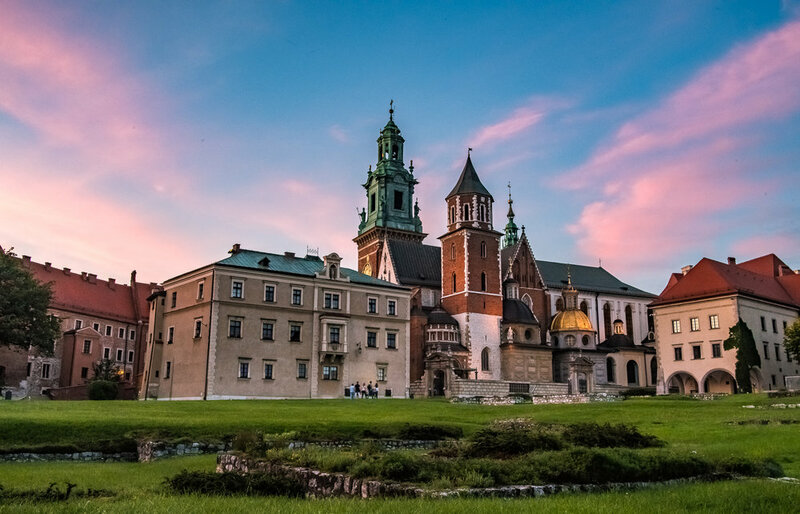 Like many important buildings, it was commissioned by Casimir The Great during the 13thCentury, however the land on Wawel Hill had been a significant settlement for some 50,000 years, with it becoming an important trading site on the banks of the Vistula River. After its completion, the castle became the residence of Polish Royal Families until the capital was moved to Warsaw. 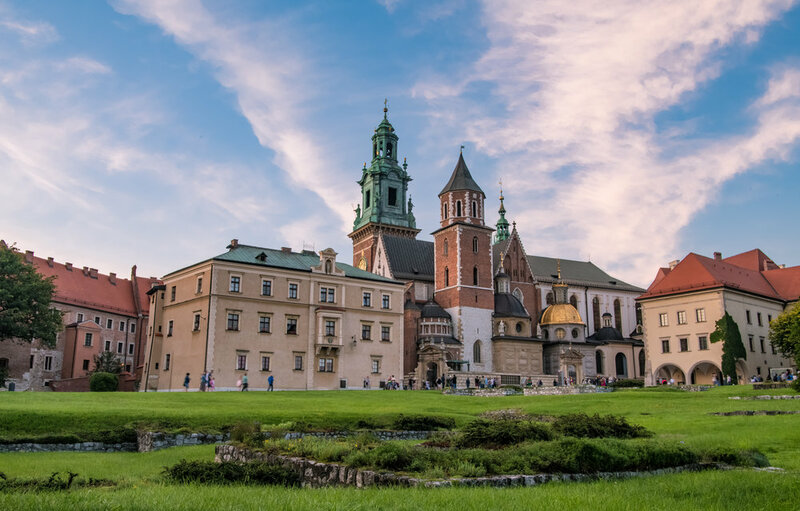 The best place for photos of Wawel Castle is in front of the cafes on the South-West of the castle (Trattoria Wawel) – it looks across the lawn and is ideal at sunset. The castle closes at 5pm and the security might try and hurry you up, but I just pretended that I was packing up each time. Another nice spot to photograph Wawel Castle is from Grunwaldski Bridge (map), especially after sunset for some long exposures. - Otherwise, Old Town is just a great place to walk around, with so many fascinating little streets, shops and stalls. 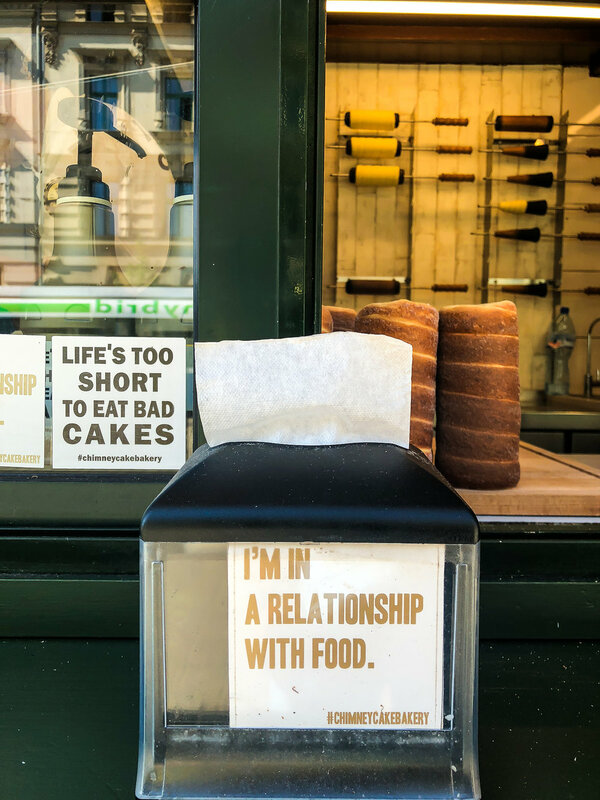 I mention a few of the different places to try for food, but to be honest, there are countless and you might stumble across a gem! 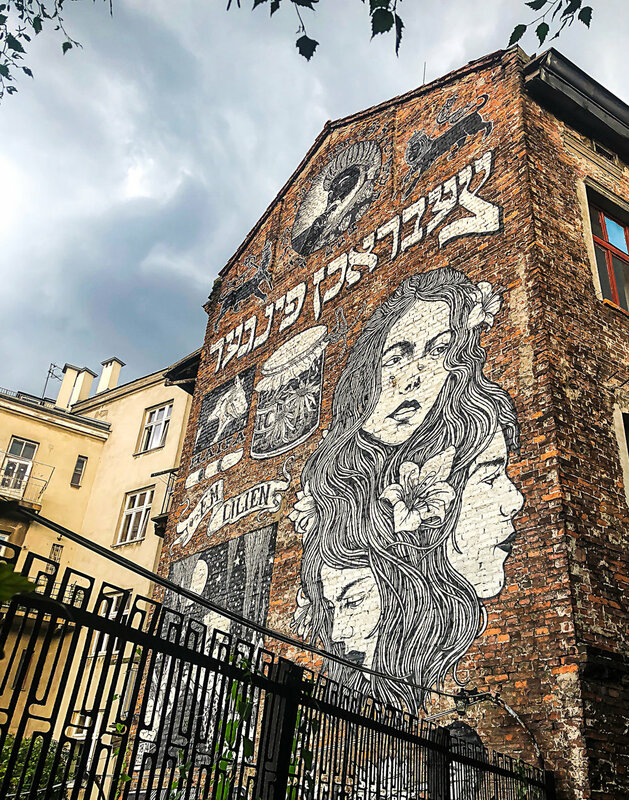 Kazimierz is known as the “Jewish Quarter” as for many years it is where a large Jewish community lived – prior to the Nazi invasion during World War II. 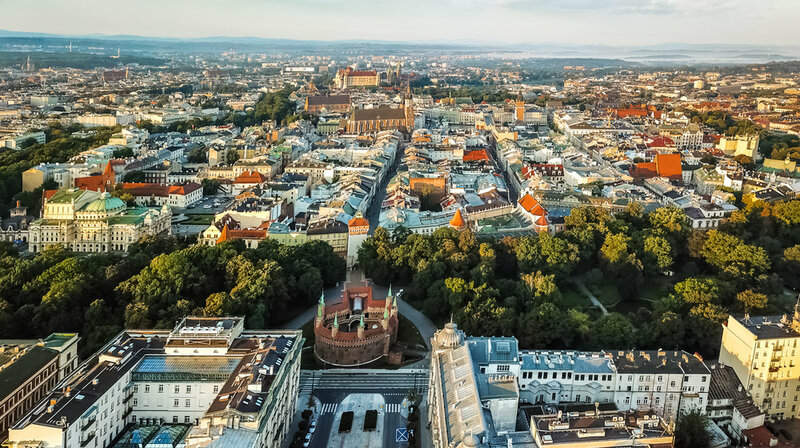 In reality, the original Jewish area of Krakow was part of the Old Town, however, the Jewish people moved to in 1495 Kazimierz after a fire in Krakow and the subsequent rebuilding of that area of the city. Kazimierz became a district rich in Jewish culture. During WWII however, Jews from Kazimierz and all of Krakow were forced to live in a small area that became known as the Jewish ghetto. A tour of Kazimierz will include some of the history that relates to this awful time in the city’s history. 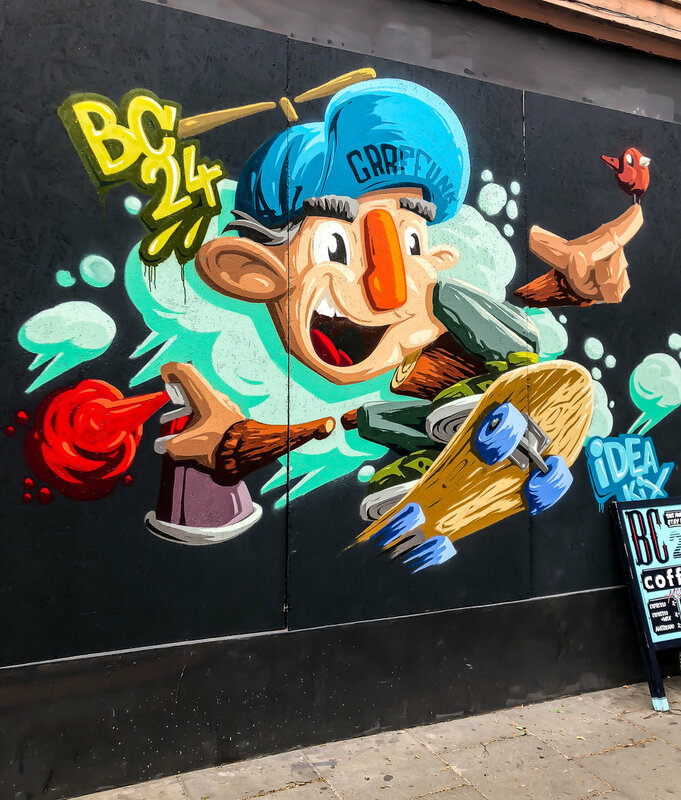 There is some fascinating architecture and incredible street art through the winding alleyways of Kazimierz. There are also a number of museums that contain details of events that occurred during the time of the Jewish ghetto. As the history is quite involved, it is definitely worth taking one of the guided tours if you are interested in learning about the details. Plac Nowy (map) is a market square in Kazimierz that has a flea market in the mornings. 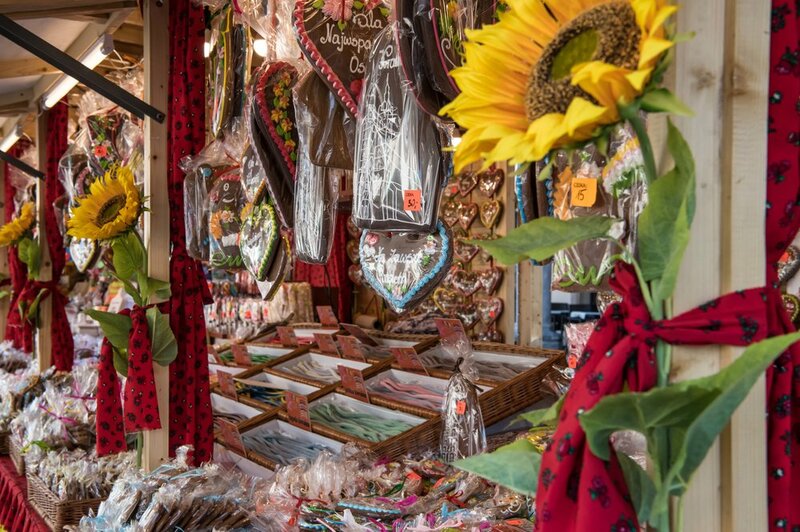 There are some antiques and clothes and it is the same area that the Zapikanka’s are sold – these are a must try! This was one of the most surprising places in Krakow – I had never heard of this place until I started looking up some good places to take photos. It is an old mine quarry with stunning blue water, sheer white limestone faces and surrounded by dense forest. It is close enough to the south end of Old Town that you could ride there (or even take a long walk), otherwise, its about a 10 minute car ride. It is absolutely somewhere to visit in the Summer, in fact on a warm Summer weekend, this is a must! The weather is warm enough that you can go swimming and there are areas that are patrolled and very safe. Other places have edges that are “safe” for cliff jumping and many locals will take the leap. You need to pay a small entrance fee (20 PZL) to access most areas. It is a beautiful place to watch the sunset and for photos, or flying a drone! 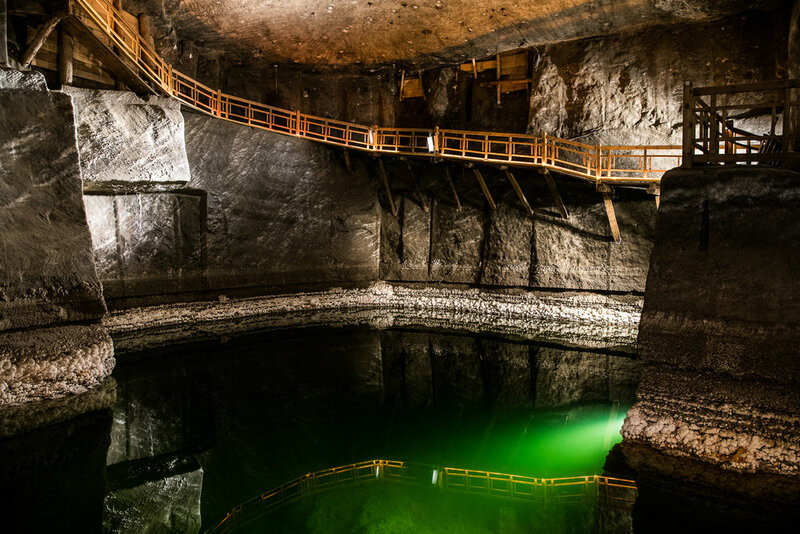 This is one of the major tourist attractions in Krakow and huge numbers of visitors go down beneath the surface to explore the ancient salt mines that have produced the once expensive commodity for centuries. 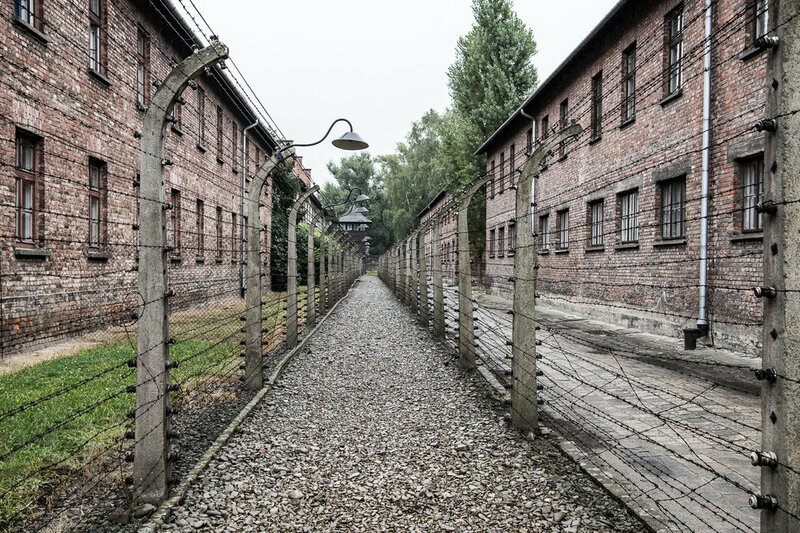 It is best to book a guided tour and similar to Auschwitz, there are companies that will arrange collection from your hotel, a reserved spot in a tour of your language and return afterwards. It is interesting to see how they used to mine salt and how the process has evolved. 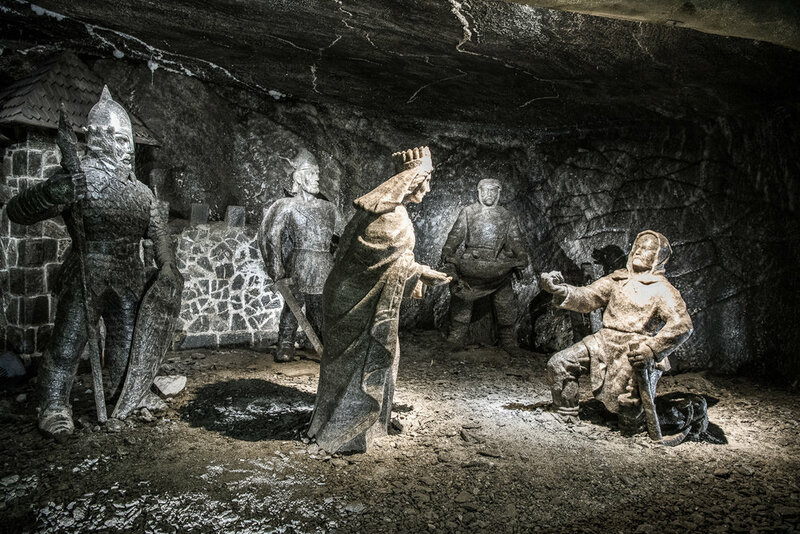 The carvings, especially the underground cathedral (established in the hope of warding off mine collapses by providing a place for miners to pray) are incredible – almost everything underground is made from salt and you are encouraged to taste it to confirm. Just don’t taste the ground, it is made of concrete! I wouldn’t describe it as an absolute highlight and personally if I had to choose between a tour of Auschwitz or the salt mines, I would definitely choose Auschwitz. Especially around Rynek Glowny, almost every shop seems to be a restaurant or café. There is certainly no shortage of places to try and have listed as many as I went to. There is a heavy emphasis on pork, which I don’t eat, but if that is your preference, you will find no shortage of places serving pork knuckle. There are lots of cafés around Rynek Glowny (The Main Square) and the close you get to the square, the more expensive they become. Within a short walking distance are many less expensive options. - Goscinna Chata: (map) Close to Rynek Glowny. The food is fantastic, with a long menu of pretty traditional cuisine. It is one of the best options to try authentic Polish food. It is not too expensive with a main and dessert costing around 50-60PZL. 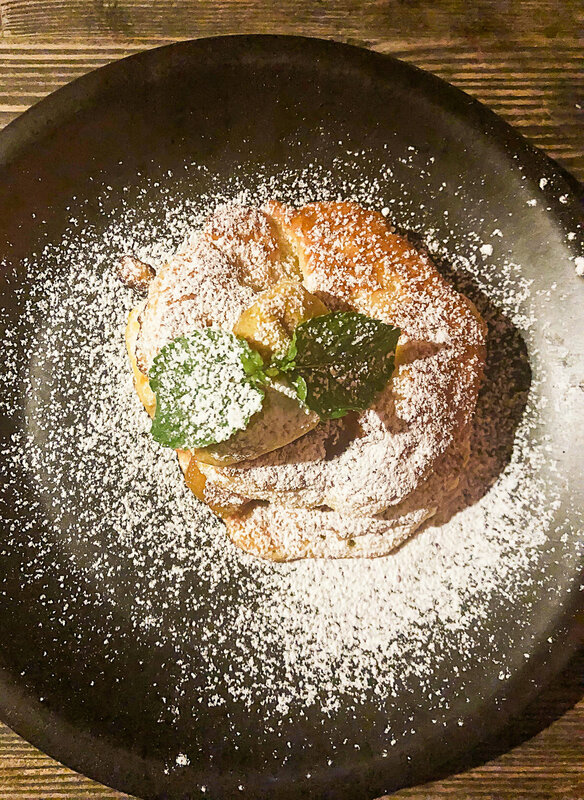 Definitely get the potato pancakes with apple & honey – this was my best dessert in Krakow! On the down side, the service is average at best, but the food makes up for the slow staff. - Kuchnia Starapolska U Babci Maliny: (map) Very unique place to go for dinner! Half the fun is finding it – you need to walk down a hallway, into a small courtyard and then down the stairs on the right side. You go underground through a quirky entrance. The restaurant is very fun, with traditional décor and photos on the walls. It is bar service only and the food is very traditional! The food itself is only fair, but its a fun experience, especially if you’re going with a group. Potato Pancakes at Goscinna Chata. 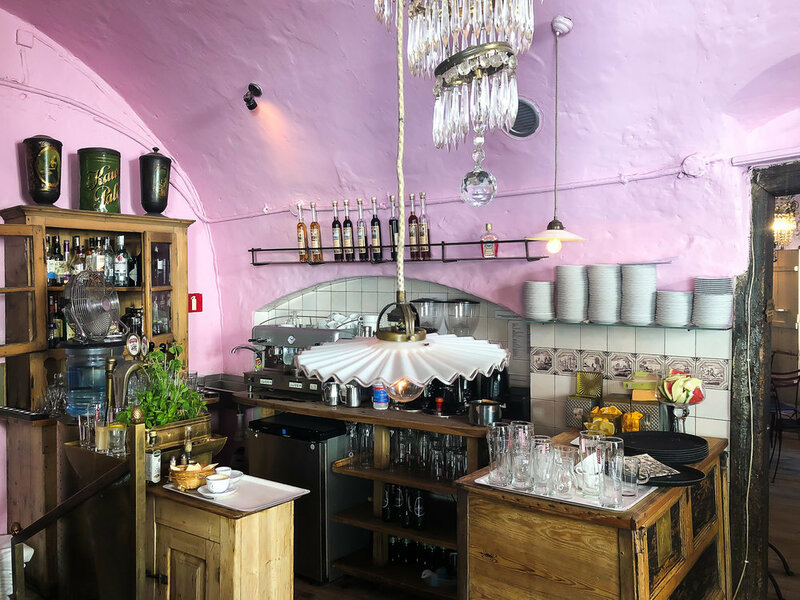 - Milkbar Tomazsu: (map) Great café for breakfast or lunch, serving pretty traditional polish food, including the local delicacy, pierogi. I had pierogi at several places and this was the best I had. They also do pretty good pancakes. The café is only small and you may end up needing to share a table. - Przpiecek 24hr: (map) This is a 24 hour pierogi café – very handy to note if you plan on having a few late nights at some of the local pubs! The pierogi aren’t the best I had in Krakow, but at 3am, the availability may be a greater factor than the quality. I found them a bit bland and soggy – like wet ravioli with no sauce. - Gospoda Koko: (map) This is a very traditional polish restaurant. There are actually several rooms within the restaurant, with the downstairs being much more like a tavern. The food is very basic, so don’t expect fine dining. If you’re on a budget and want some Polish fare, its worth a try! - Café Camelot: (map) This is by far the best café close to Main Market Square and it came highly recommended from locals. It is a beautifully decorated café with setaing inside and out. Be warned, it opens at 9am and if you want a table outside, be there before 9! The menu itself is really nicely done and has a huge breakfast selection, including healthy options. Both the food and the coffee are really good. This is definitely another great place to come for breakfast. 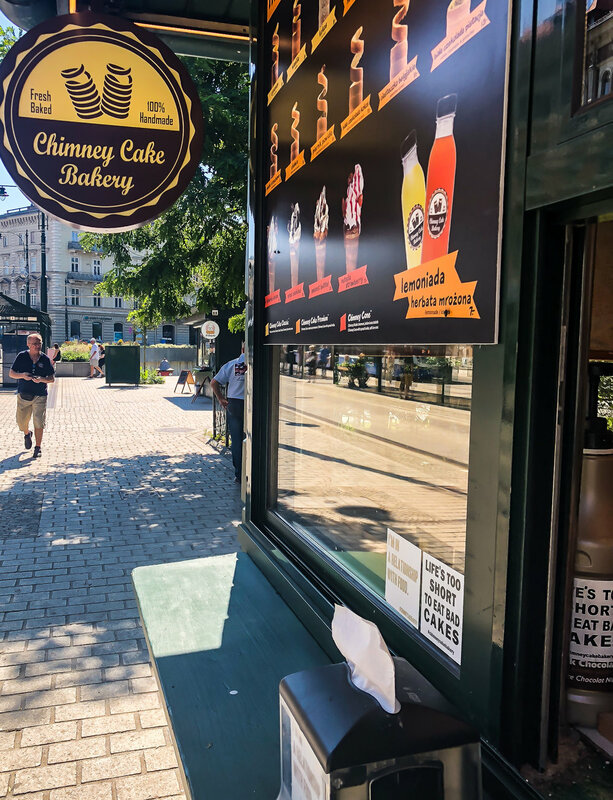 - Chimney Cake Bakery: (map) I’m told there are these places in a few other Eastern European cities, but I hadn’t found them – it is a game changer. Chimney cakes are like large cylindrical cinnamon coated doughnuts that have a coating of a spread inside (I went for nutella) and then a sprinkling of almonds. When they are fresh and hot, they are incredible! It makes me happy and sad just writing about the,. Chimney Cake Bakery are the place I would highly recommend and there is one at the North East of the Platzy outside the wall of Old Town. Go there! - The Spaghetti: (map) One of the restaurants that borders the Main Market Square. It is typically Italian cuisine, so if you want a change from the Polish and Eastern European fare, this is a place to come for pizza and pasta. - Slodki Wentzl: (map) Café right on the Main Square. The coffee is good without being great. The dessert selection is also pretty good, however I would choose Good Lood over here for ice cream! The big appeal of this place is you can sit drinking your coffe and enjoying your cake while you watch the action of the Main Square! It is a good choice if you want that atmosphere. - Goralskie Praliny Coctail Bar: Another place that came highly recommended but to be honest, I would suggest others. The service wasn’t great and the doughnuts cost more than a Chimney Cake and cant be compared to them! - Piecarnia Buczek: (map) Just outside the Old Town. Decent bakery if you need somewhere to grab some lunch on the go. They have a reasonable selection of wraps, rolls and sandwhiches as well as pastries. - Siesta Café: (map) Doesn’t have a large menu, but a nice place to come for coffee and cake. Not far from the Main Market Square and is perfect for an afternoon tea stop………just like a siesta! - Ambasada Sledzia: (map) Very laid back tapas bar, also close to the Main Market Square. It is a great place to come for an afternmoon drink and small meal. You probably want to like herring, as this place specializes in different varieties of herring dishes. I had the mustards and bread coated herrings and loved both……..but I love herrings! Really like this place! - Morskie Oko: (map) Really traditional Polish restaurant that has wonderful decor and the staff are dressed traditionally also - makes for a pretty unique experience. The menu is Polish with options like potato pancakes (which were admittedly a little bland). 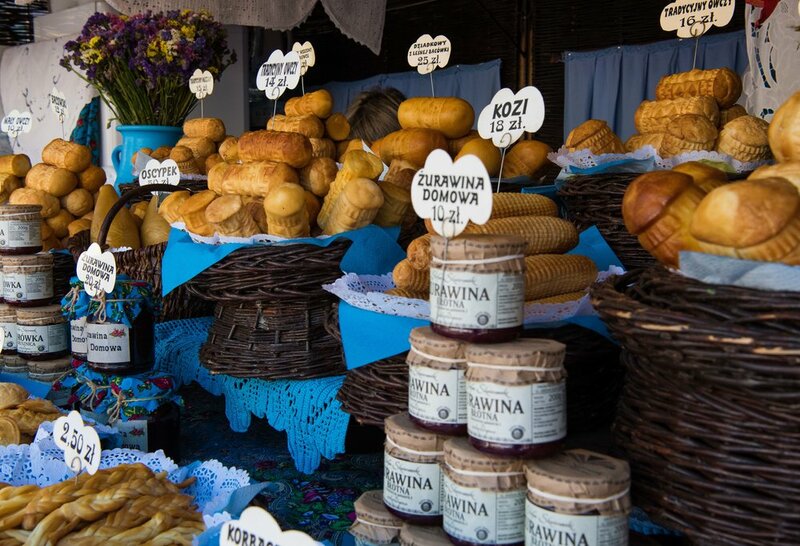 Definitely worth trying is the Oscypek, a Tatra Mountain cheese that is a local specialy. - Obwarzanek: These are the local bagels sold from street carts all around the city. They are almost identical to “simit” in Istanbul. A very traditional food to eat in Krakow and always available. - There are loads of ice-cream, shops in Krakow and if youre visitiong in Summer, you will want to know where they are! Good Lood (map) came very highly recommended and on a hot day, you will see why – the queues will be out onto the streets. They have a huge range of really unique flavours that are constantly changing. There was a green apple & cherry sorbet when I was there that was amazing! There are 2 famous shops in Kazimierz, one is in Plac Nowy. Another good option for ice cream is Krakowski Lodi and these can be found in lots of locations! 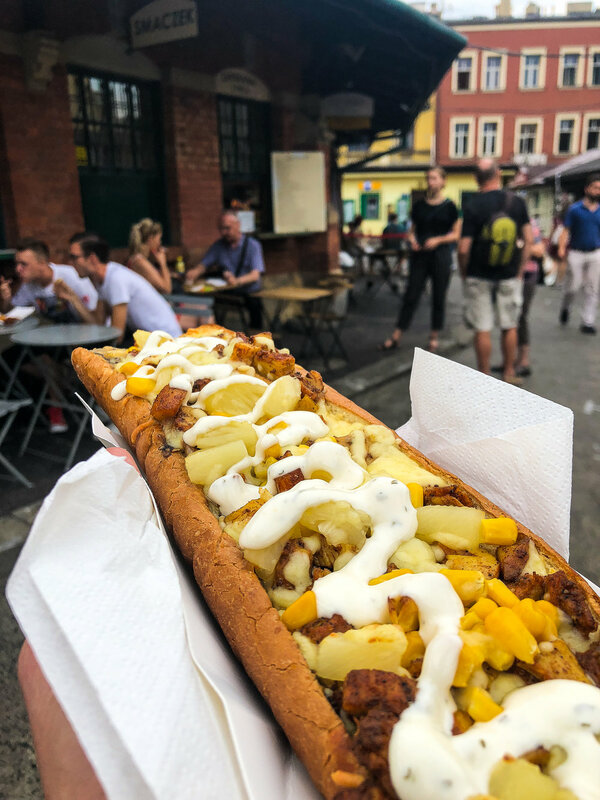 - Zapikanka in Plac Nowy, Kazimierz: (map) Zapikanka are another local favourite in Krakow and there is really only one place to go and try them. The circle in the middle of Plac Nowy has around 20 window fronts that make these open baguettes with pizza topping. You can walk around and choose which one you think has the toppings you like the best. I actually went 3 times and tended to just go to the windows that looked busy! They take around 20 minutes to make, so place your order then have a look around at the flea market. - Wesola Café: (map) This café would not be out of place in Melbourne! Whilst it isn’t overly Polish, it is outstanding! This is a must visit for lovers of good a breakfast, coffee and that genuine café atmosphere. It is not far from Galeria Krakowska Mall and Puro Hotel. The food really is excellent including healthy options or a selection of cakes. The coffee was the best I had in Krakow. Essentiually, “Auschwitz” is a complex of concentration camps that were used by the Garman Nazi regimn during World War II. The main camps were Auschwitz I and Auschwitz II – Birkenau. The tours take you around tehse two faciliuties and give some insight into trhe autrcities that occurred there. It is quite a sad, depressing and humbling experience to learn to depths humnanity can reach. However, it also serves as a critical reminder, in the hope we don’t make the same mistakes again. 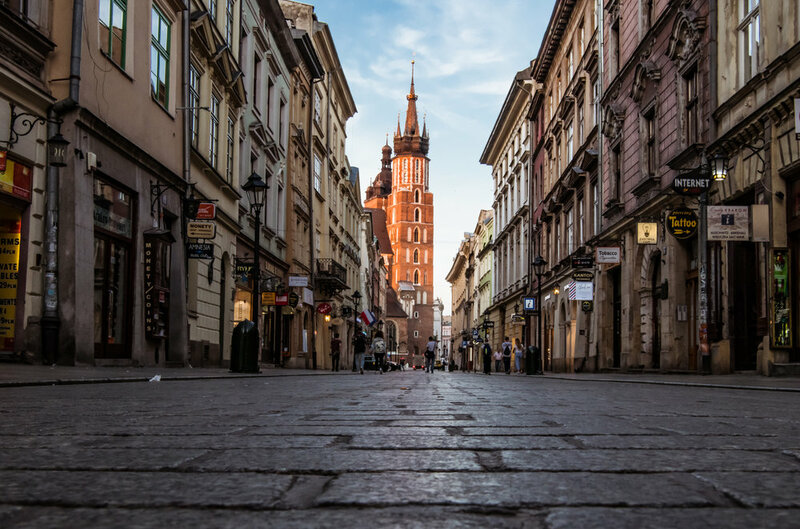 Krakow, and especially Old Town, is a wonderful city to explore by foot. 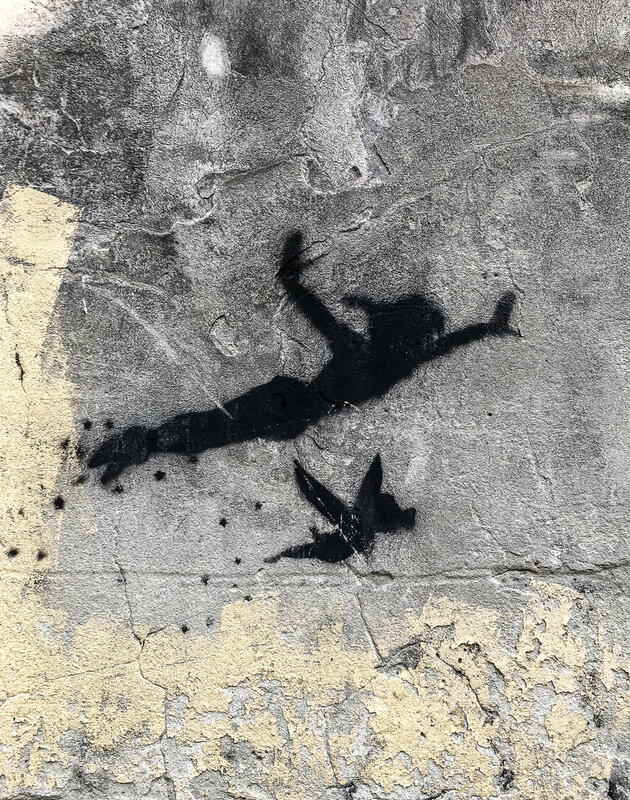 There is such a fascinating history with many folk tales and stories that blur facts and fiction. The best way to appreciate this is by taking one of the many guided tours. Many companies offer a “free “ service with the option to tip accordingly at the end. I did walking tours of Old Town and Kazimierz. I would suggest doing at least the Old Town tour in your first day and then the Kazimierz if you have enough time. 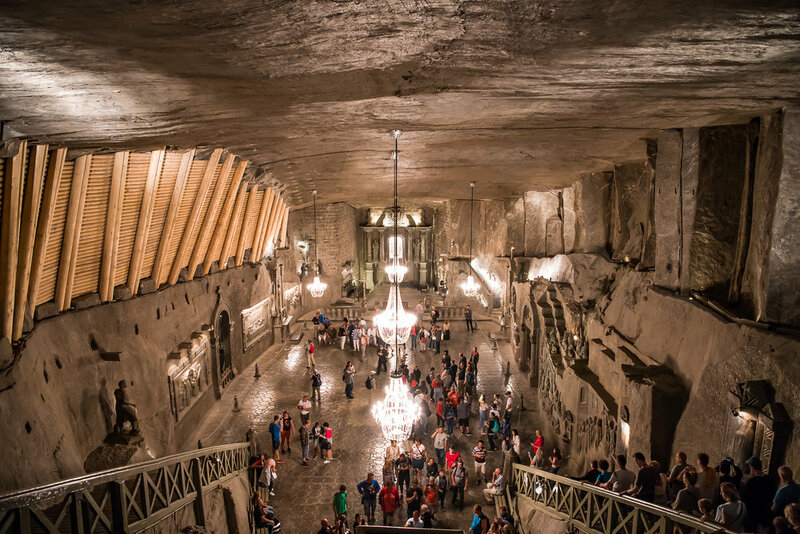 On the Old Town tour, you will get pkenty of information about some good places to eat, what other things are wiorth seeing and you can book tours for places like the salt mines and Auschwitz. I visited Krakow solo and found it a really safe and easy city to explore. It probably isn’t an ideal family destination for young children as there isn’t a whole lot for them to see or do. The major attractions aren’t really suitable for children and to explore the city there is a lot of walking! 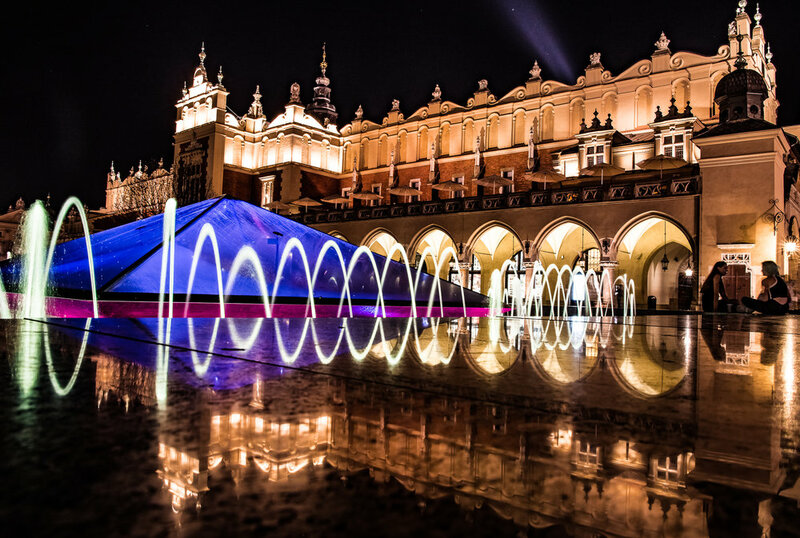 Krakow is perfect for couples, groups of friends (the nightlife scene is great) backpackers and solo travellers. 2. 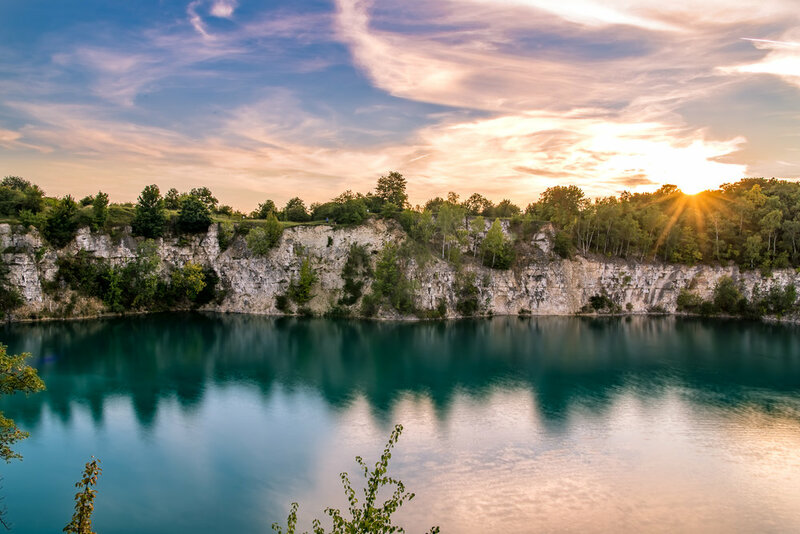 Zalew Zakrzowek: (map) The old quarry that is now a “hidden lake” is an absolute must in the summer, especially on a warm weekend, when locals come in larhe numbers to swim, sunbathe and jump from the steep limestone cliffs. 3. Rynek Glowny: (map) The focal point of Old Town Krakow. You can sopend hours simply wandering in and around this historical market square. There are so many places to eat and things to see and do – you will be drawn here. 3. Zalew Zakrzowek: (map) Such a unique place close to centre of Krakow. It’s a perfect spot for drones, action shots of cliff diving in summer and sunset of the white cliffs. 1. Plac Nowy for Zapikanka: (map) These are like an open baguette with pizza toppings. You can choose from a large variety of toppings including cheese, mushrooms, vegetables, meats, spices and sauces. In the centre of Plac Nowy is a circle of windows that serve traditional Zapikanka and this is the place to come to try it! There are around 20 window fronts, try either Endzior or Zapiekanki. 2. Wesola Café (map) & Café Camelot (map): Tough to split these 2 cafes. They are quite different, but both excellent. Wesola being a much more cosmopolitan style that reminded me so much of going to a great café in Melbourne. Café Camelot is a little more unique and traditional, but avoids being bland (at all), the décor is beautiful and its easily the best café close to the main market square. If youy are in Krakow for 2 mornings – spend 1 at each of these! 3. Chimney Cake Bakery (map): I have had similar versions of this before, but none come close to the cakes from these stores. 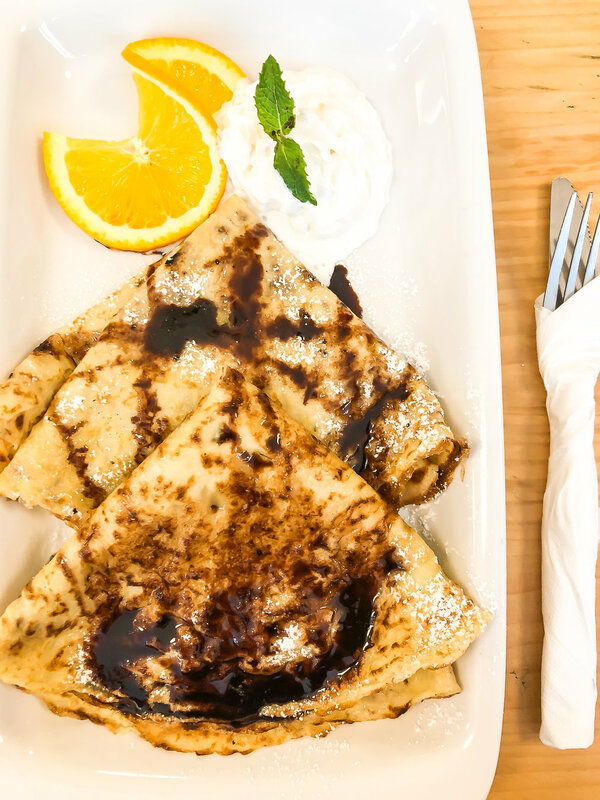 Try the one at the north of Old Town – nutella with crushed almonds…………you’re welcome.